Yeshiva University Adds Experiential to RIETS Education Meet Aryeh Goldberg! 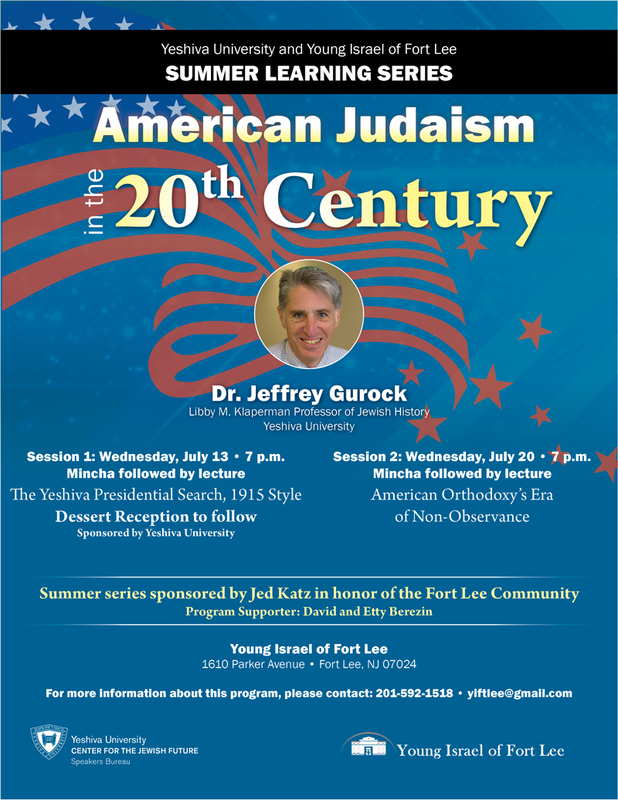 Yeshiva University’s Center for the Jewish Future (CJF) in collaboration with Young Israel of Fort Lee (YIFL) will present two lectures by Dr. Jeffrey Gurock, Libby M. Klaperman Professor of Jewish History, on the theme of “American Judaism in the 20th Century.” The lectures will take place Wednesday, July 13, and Wednesday, July 20. 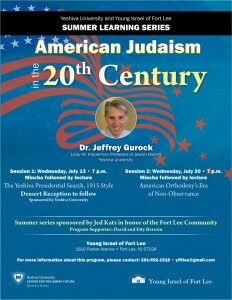 Each lecture begins at 7 pm and is held at Young Israel of Fort Lee, 1610 Parker Avenue, Fort Lee, New Jersey. The Summer Learning Series is sponsored by Jed Katz in honor of the Fort Lee Community and program supporters David and Etty Berezin. For more information about this program, please contact 201-592-1518 or yiftlee@gmail.com.